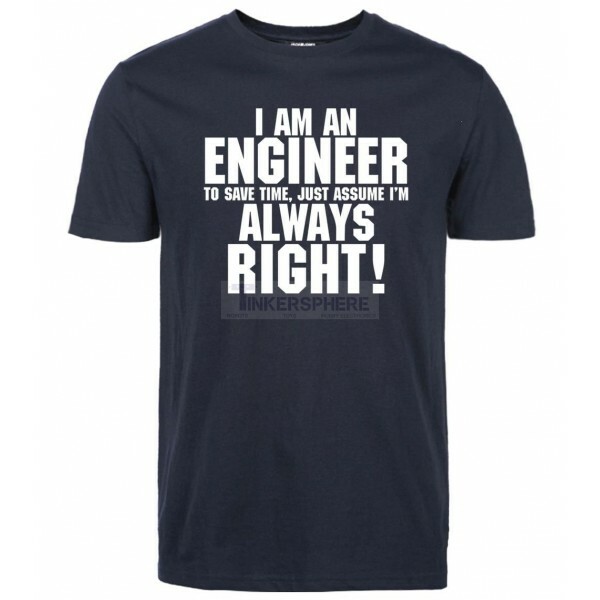 "I'm an engineer, to save time just assume I'm always right!". Men's Sizes. Soft, elastic fabric for extra comfort while in the workshop, home, office or on the go! 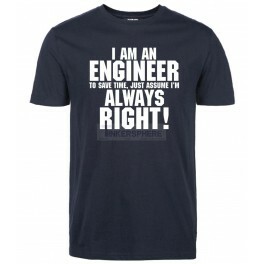 I'm an engineer, to save time just assume I'm always right!